What at Hofstra gave you your edge? I really do believe that I felt this enormous trust from the professors in the Theater Department. They allowed me to explore things on my own. I don't know that I have a field of specialty. I consider myself a writer, and I've been lucky over the years to have worked on projects that have been very close to me. These include plays that I have written and children's television shows that I have worked on, most recently being the head writer on Sesame Street for the last 10 years. An autobiographical play about my relationship with my dad that I had written while in graduate school called Show on The Road was broadcast nationally, and that opened up other writing opportunities in the television industry. What was your first job after graduating from Hofstra, and what was the most valuable thing you learned here? My first television writing job was for the very early Nickelodeon network. I wound up being the head writer on Pinwheel, which is now a sort of cult classic preschool show. The most valuable thing I learned while a student at Hofstra was a sense of independence. One of the things that I found extraordinary was that besides having professors who were brilliant in the field, students were given an enormous amount of freedom to work on their own projects. This included writing and directing, and I cherish the memories of work I did at the Little Theater, where students directed and acted in their own projects. I was given the opportunity to conceive and direct an original theater piece based on contemporary poetry (e.e. cummings, Lawrence Ferlinghetti,) called Such Small Hands; I had several off-the-wall ideas of what I thought this evening of theater should be and I was given the space and the freedom to figure it out on my own. It was a great experience. What is the single most rewarding experience in your career thus far? I am very proud of my work as head writer on Sesame Street. I have written two prime time specials for the show, but I think I'm most proud of a special week of programs we did about a hurricane coming to Sesame Street and destroying Big Bird's nest, and how his friends help him to rebuild his home and get through this crisis. Besides winning an Emmy for the writing of these episodes, I was especially proud to learn that children who had survived Katrina found these shows particularly comforting. It was also a great experience to have my play Hawthorne Country, co-written with Kenneth Cavander, performed at the Williamstown Theater Festival starring Richard Thomas and Allison Janney. Who in your field do you most admire? While there is no one writer that I most admire, I have a whole bunch of favorite writers, including Dostoevsky, Raymond Chandler, and Chekhov. John Mortimer, Robertson Davies, Patricia Highsmith, and Albert Camus. Molière, Laurel and Hardy, Soupy Sales, Mad Magazine, Rocky and Bullwinkle, my kids and every cat I've ever owned have been great comic influences. I was a theater major. I had two favorite classes - Professor Howard Siegman's dramatic literature class and Dr. Richard Mason's theater styles class. Professor Siegman's class was a joy that I always looked forward to. I still have all my notebooks with his thoughts about plays, from the Greeks to the absurdists. In fact, when I taught dramatic literature and playwriting at Hunter College, I would often refer to my notes from his classes. Richard Mason was a true light in my life. He taught me that a play was far more than a story, but a touchstone to everything that was going on in the culture that surrounded the play. He was a brilliant director as well as teacher, and I loved and remember very clearly being in his Brechtian production of Arthur Miller's The Crucible. I have thought fondly of Howard Siegman and Richard Mason many times over the years, and even though I haven't seen them for decades, they are a part of my life. What is your fondest memory of Hofstra? I loved acting in the school productions. These included playing Mack the Knife in Three Penny Opera with my one-time roommate Mike Starr, who has since gone on to a wonderful acting career of his own, and Reverend Hale in The Crucible and appearing in the Harold Pinter play The Room, directed by fellow student Marc Rosenblatt. What made that experience particularly special was that I got to perform with a lovely and extraordinarily gifted young actress by the name of Lillie Field, who I've now been married to for 30 years. Follow what you love to do even if it doesn't seem practical. It may prove to be surprisingly practical. Don't separate work and life. Find something that you love to do. I lean on my wife, Lillie, my daughter, Elizabeth, and my son, Spencer. I share my working life with them. My family is my first audience. I hope that 10 years from now I'm working on some play or book, and that when I start writing, I have no idea how it's going to turn out, but that it keeps me wanting to find out. I'd also like to play second base for the New York Mets, but that's not happening, so maybe I'll take trumpet lessons. I've also always wanted to dress like a potato and walk around America. That's still a possibility. What was the highlight of the time you have spent with Sesame Street? As I mentioned, the Hurricane shows have been a big highlight. I'm also proud of having created the character of Baby Bear - the adorable but territorial and feisty character from the fairy tale who is always on the lookout for Goldilocks, hoping to protect his porridge or his chair. I saw him as the personification of sibling rivalry, and he allowed us to dramatize that conflict with humor. I also created Telly Monster's passionate love for triangles and his membership in the Triangle Lover's Club. We've gotten a lot of comedy sketches out of this while at the same time teaching geometry. I've found working closely with a remarkably talented group of writers, sharing ideas, and collaborating on scripts very fulfilling. It combines writing, editing and teaching, all things I love. As a 10-time Emmy Award winner, where do you find your creative writing inspiration? I think I'm very lucky because even as a kid I was always making up stories and playing with puppets. The inspiration seems to grow out of the fun. I've been lucky that I've somehow been paid to continue playing. Lou Berger has been welcomed into our homes for more than 17 years as one of the minds behind the highly acclaimed children's television program Sesame Street. He has been the head writer for 10 years and wrote the teleplay and song lyrics to "Sesame Street Stays Up Late," PBS's prime time New Year's celebration. Lou also co-wrote with Judy Freudberg "The Street We Live On," a prime time PBS special, celebrating Sesame Street's 35th anniversary. 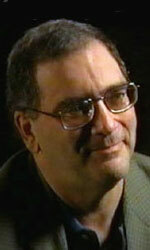 Prior to his work on Sesame Street, Lou was one of the original writers for PBS's Reading Rainbow and was the head writer for Pinwheel on Nickelodeon. He was also the co-creator of Between the Lions on PBS. Lou has made numerous contributions as a playwright, co-writing Hawthorne Country for the Williamstown Theater Festival and Wild Boy, which had its world premiere at the Carlson Center for the Performing Arts in 2003. In recognition of his writing achievements, Lou has won 10 Emmys for Outstanding Writing, and has been the recipient of a Grant for Playwriting from The National Endowment for the Arts. Lou has enjoyed working with students as a visiting professor of undergraduate and graduate playwriting at Hunter College and as guest lecturer at Harvard University's School of Education. Lou is a 1968 graduate of the High School of Performing Arts, where he wrote and directed the senior musical. In 1972 he graduated with a B.A. (high honors) from the Theater Department of Hofstra University.